No need to worry about traveling with all that luggage! (SPOT.ph) The expansion of Clark International Airport has been underway for quite some time now and by 2020, Filipinos can expect the new and improved terminal to serve double its current capacity. And if you're flying from Clark, you don't have to worry about carrying your luggage all the way to Pampanga: Genesis Transport offers point-to-point bus trips so you can travel from Manila to Clark with ease. The transport service recently updated their point-to-point (P2P) bus schedules, so if you're planning on flying from Clark, you might want to familiarize yourself with the four available routes: Clark Airport to NAIA 3 via Robinsons Galleria/Ortigas; NAIA 3 to Clark Airport via Ortigas and SM Clark; Trinoma/North Edsa MRT Station to Clark Airport via SM Clark; and (a more direct route from) Clark Airport to Trinoma/North Edsa MRT Station. 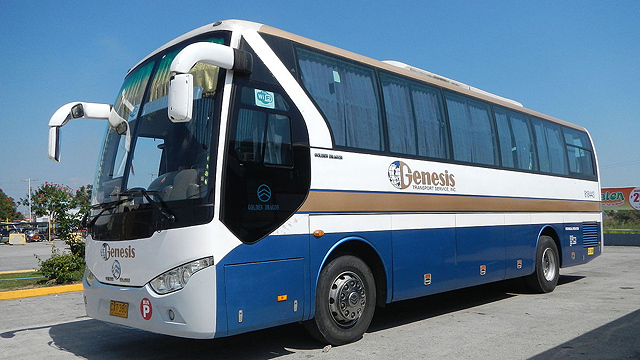 For more information, visit Genesis Transport's Facebook page.